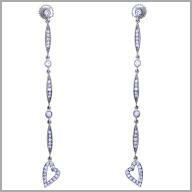 14K WG Diamond Drop Dangle Earrings 0.9060ct of diamonds. Every woman deserves a perfect pair of diamond earrings! 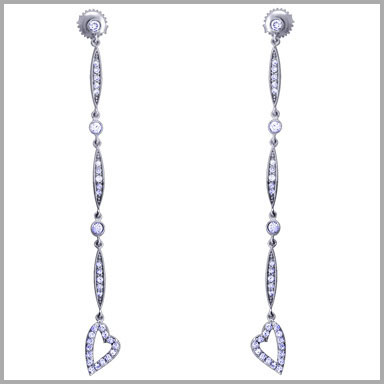 These sparkling diamond earrings are created with polished 14K white gold and each feature 27 round cut diamonds bead set in a drop dangle style. The total diamond weight is approximately 0.9060ct (color: G-H, clarity: SI). They measure 2"1/4 x 5/16" and have posts with butterfly friction backs.